Region 3, Northern Penobscot Technical Center offers Maine high school students modern, hands-on training in technical programs including Welding, Commercial Driving and more. 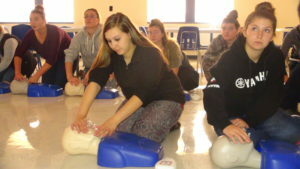 Recently, our Public Safety, Commercial Driving, RMA and CNA students had a special lesson about CPR and how to respond to a choking person. 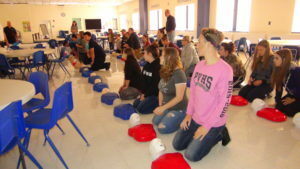 This lesson gave students a hands-on learning experience about what to do in an actual emergency.